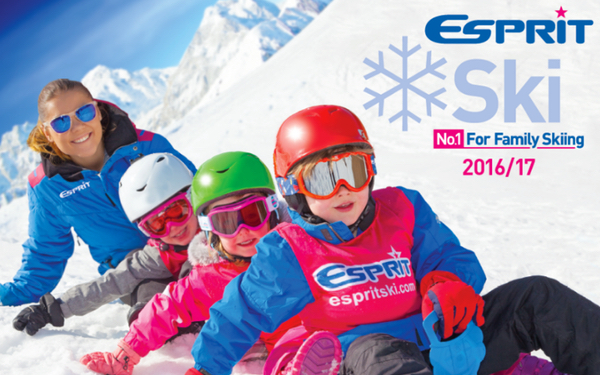 Esprit Ski is the UK’s leading provider of skiing holidays for families. It got to that position by providing exceptional ski experiences, all the time underpinned by giving families exactly what they need. So what else they could they offer families to encourage them to book with Esprit for the upcoming ski season? Bedrock quickly identified that the typical skiing family are always actively seeking new activities to keep the kids entertained throughout the year. So we turned to Merlin Entertainments, the operator of some the UK’s biggest and best-loved theme parks and attractions to sweeten the deal for Esprit’s customers. 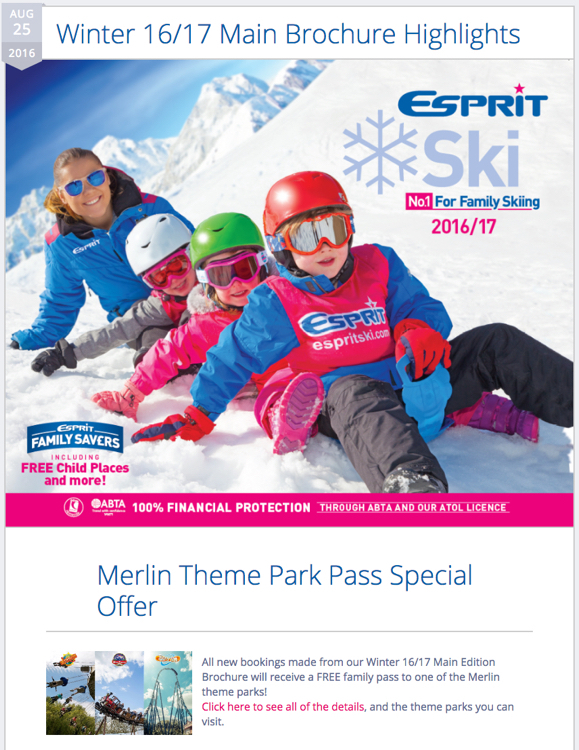 This gave Esprit the opportunity to offer free family passes to their customers when they booked a holiday for the 2016/2017 season. It also helped to keep Esprit front of families’ minds outside of the ski season – always a bonus! With the chance to choose from one of three magical worlds, where they could travel to an island like no other at Thorpe Park, experience Britain’s greatest escape at Alton Towers, or go on a wild adventure at Chessington World of Adventures, it was a great booking incentive for the whole family. Merlin themselves benefited from having high-spend customers in their parks, where restaurants and additional park services would see increased spend. It also demonstrated to Esprit’s customers that this is a family orientated brand that truly understands their needs.